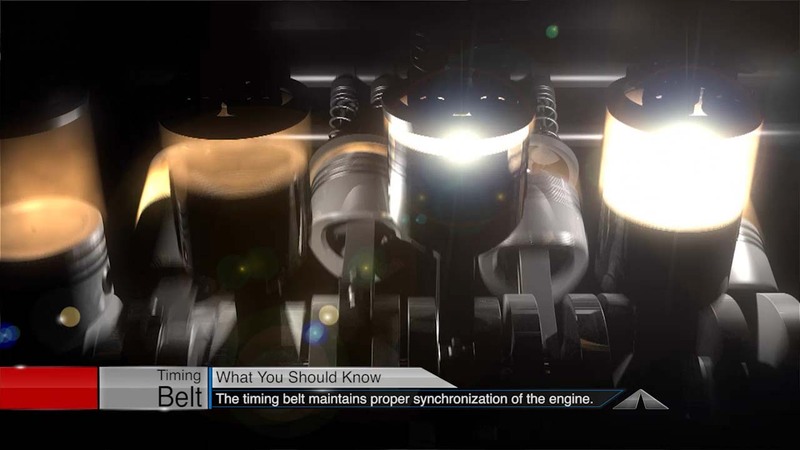 The timing belt in your engine controls the opening and closing of the intake and exhaust valves. Costa Mesa car owners need to replace it on a schedule to avoid failure. Timing belts are very challenging to get to, requiring quite a bit of labor to access. Timing belt replacement is one of the more costly maintenance services, but the cost to correct an engine damaged by a broken timing belt is much, much more. The timing belt has a tensioner to help maintain proper belt tension. The tensioner should be replaced along with the timing belt and any idler pulleys at the auto maker’s specified service interval. Your efficient Newport Autotech Center service specialist can help you with the timing. Car care is an essential part of auto safety in Costa Mesa. But the most important thing we can do to improve safety on California roads is to drive safely. Defensive driving is safe driving. And defensive driving is all about attitude. You have to decide that you will be a safe driver in California, no matter what anyone else is doing. Costa Mesa auto owners can start with awareness. Always maintain awareness of your surroundings, the road conditions, other vehicles on the Costa Mesa road or expressway and road hazards. Have you ever suddenly realized that you have arrived somewhere, but you don’t really remember driving there? That is unsafe driving. Never assume that other Costa Mesa car owners are paying attention. You be the one on alert. You be the one to take initiative to stay out of the way of other California drivers. And don’t let familiarity dull your alertness. Remind yourself to pay as close attention while driving on the roads near your Costa Mesa home as you would in unfamiliar territory around California. Prepare your sedan so you can give the road your full attention. Secure passengers and pets before leaving the driveway. Secure loose items in your sedan so they can’t become projectiles if you have to brake suddenly. If children or pets become a distraction while driving, pull over and take care of the problem before re-entering traffic. Unclutter your windows. Take down the danglies from your rearview mirror. And don’t use your sedan dashboard as an office. Move distractions and clutter to the backseat. Keep your windshield clear. Properly maintain your sedan. Preventive maintenance doesn’t just prevent repairs; it prevents unsafe vehicles. Make sure your tires, lights, brakes, suspension, alignment and steering get regular check-ups at Newport Autotech Center. Also, listen to your efficient Newport Autotech Center service professional when he gives you auto advice about other systems in your sedan. Knowing about the wear and tear on your sedan can help you avoid dangerous situations. Avoid driving when you are sleepy or angry. Get a good night’s sleep before a road trip in California, and learn to set aside relationship, job or other issues while you are in a vehicle. Again, you have to take charge of your own safety. Don’t daydream in your vehicle. Also, talking to passengers can be a distraction. Keep your mind on the road. Conversations may keep you from daydreaming or excessive boredom on a long trip, but always keep your driving foremost in your mind. Maintain a proper speed. Driving too fast is dangerous on crowded Costa Mesa roads, but driving too slowly can cause accidents, too. At night, don’t overdrive your headlights. Your stopping distance needs to be shorter than the distance your headlights are illuminating. Never drink and drive. Alcohol plays a part in half of all fatal accidents in California and nationally. Also, don’t drive drugged. Pay attention to the warning labels on any medications you are taking. Other Fountain Valley motorists need to see you and know what you want to do. Use your sedan turn signals, and stay out of other California drivers’ blind spots. If you can, avoid driving over debris in the road. You can damage your sedan or end up in an accident. Of course, if swerving to avoid the debris is dangerous, then slow down and navigate as best you can. Do what you can to alert other drivers to the problem. You may want to pull to the side of the Garden Grove road and report the debris or move it to the side of the road, if you can do so safely. Never follow too closely on Irvine roads or freeways. Observe the two-second rule. Choose an object ahead such as a tree or traffic sign. As the car in front of you passes it, start counting: one-one-thousand, two-one-thousand. If you reach the object before you’re done, you’re too close. Back off. If you are on one of the California interstates, or if you are hauling a heavy load, or if you are tired, or if in any way you are not the model of the alert and attentive driver, then increase that two-second rule to three seconds. Give yourself an added measure of safety. If the Irvine weather is bad, increase the rule to five seconds. If you see a vehicle driving erratically in Costa Mesa, stay away. Take the next right or the next exit off the highway. Notify the Costa Mesa police as soon as you are safely stopped. And of course, don’t be the idiot driver we all complain about in Costa Mesa. Don’t contest your right-of-way, don’t race to beat someone to a merge, and don’t cut into someone else’s two seconds of space. Winning these types of ego trips may end up losing you your sedan—or worse, your life or the life of a friend. The professional automotive team at Newport Autotech Center wants all Costa Mesa motorists to stay smart and stay safe. Most Costa Mesa car owners have experienced a flat tire. You know it’s inconvenient and a pain. Our tires are important. Keeping them in good working order isn’t just a big safety issue for California drivers – it also has a financial impact. With high Costa Mesa gas prices, we’ve all heard about the importance of keeping proper tire pressure to get the best possible fuel economy. In addition, proper inflation promotes even tread wear so your tires last longer. There’s another danger to under-inflated tires for Costa Mesa auto owners. Low tire pressure puts added stress on the structure of the tire itself, causing it to break down prematurely. Also, under-inflated tires generate more heat which also reduces tire life. So get those slow leaks fixed quickly – don’t just keep airing them up every few days. You want to avoid costly tire damage. Tires can also be damaged by road hazards in and around Costa Mesa. Punctures, cuts and unfortunate encounters with curbs or potholes can also cause damage that could lead to tire failure. Sometimes, it’s something that a diagnostic examination would reveal. Try to remember to check your tires when you’re pumping fuel. Look for slashes, missing chunks, nails or screws in the tread or just uneven wear. Of course check the air pressure too. Now tire damage can be on the inside where Costa Mesa motorists can’t see it until it’s removed from the wheel. Such damage could come from a severe impact, driving on a flat around Irvine or even just low pressure. Some punctures can cause internal damage that is too extreme to be repaired. You may see our Newport Autotech Center tire professionals take the time to remove your flat from the rim and inspect the inside before repairing it, which means we’re just following best practices. Of course, some tires just can’t be repaired at your Costa Mesa service center or Newport Autotech Center. A puncture may be too large to plug. Also, the puncture could be in a location that’s not safe to repair like in the sidewall or outer portion of the tread. So called run-flat tires should not be repaired because their design is such that internal damage can’t be detected by a visual inspection by your efficient Newport Autotech Center technician. Costa Mesa drivers should only hire qualified tire professionals to perform repairs – we have a whole team of them at Newport Autotech Center. Irvine folks can buy self repair kits, but we advise you to save those for emergencies, like when you’re off-roading and need a quick fix so you can hobble back to Costa Mesa civilization and get professional help. If you need to use a repair-in-a-can product, remember it’s a temporary measure only and your tire needs to be properly repaired as soon as possible. Here are some other considerations: A DIY flat repair may void your tire manufacturer’s warranty – just something to keep in mind. Also, if you repair a speed rated tire, you should not use it in any motorsports or operate it above legal speed limits. Your efficient Newport Autotech Center tire specialist will repair your tire whenever it’s safe to do so and he’ll advise you when it’s better to replace it. So watch those curbs and keep the air – on the inside. Maintenance schedules are designed to ensure three areas of essential automotive performance for Costa Mesa car owners: protection of the vehicle itself, gas mileage, and safety. For example, motor oil lubricates your engine, when keeps it running well, but it also contains detergents and other additives that clean your engine and protect it from corrosion. Your vehicle’s engine was engineered for best performance with a specific weight and type of motor oil. Costa Mesa car owners should always be careful to use the right motor oil for their engine. Some of your sedan’s systems must be maintained for safety reasons. Your brakes are a prime example of this. Brake pads and brake fluid need to be replaced in order to ensure good braking power. Poorly maintained brakes lead to accidents for Costa Mesa drivers. Your owner’s manual is your first resource when it comes to knowing when and how to maintain your sedan. Of course, you can consult with a your Newport Autotech Center service advisor. He can give you good auto advice on how to adjust your service schedule to account for climate, local road conditions and your driving distances. The multi-point inspection that comes with a full-service oil change does not cover all of the regular inspections your vehicle needs for peak performance and safety. Check with the automotive professionals at Newport Autotech Center in Costa Mesa to find out what additional inspections your vehicle needs and how often. Good car care requires regular and consistent maintenance. But good maintenance pays for itself in better gas mileage and fewer pricey repairs. It may even save your life. Our vehicles are not massage chairs. While we may enjoy a good vibration in an overstuffed recliner, us Costa Mesa car owners generally want as smooth a ride as possible in our vehicles. One way to achieve this is to keep a vehicle’s wheels in balance. When a tire is mounted onto a wheel, it is usually out of balance. This means that as the wheel spins, there is a slight wobble to the path of the tire. For best handling performance and safety on the road, Costa Mesa motorists want to minimize this wobble as much as possible. So we balance our tires. To balance a tire, your efficient Newport Autotech Center technician spins it on a machine or drum to determine where it is off-balance. He then attaches weights that counter-balance the uneven weight. Most Costa Mesa drivers are surprised at how much balancing improves the smoothness of their ride. High-quality tires generally hold their balance well. But over time, wear and tear take their toll and tires can become unbalanced. Costa Mesa drivers can tell when a front tire is unbalanced if they feel a vibration in the steering wheel. If a back tire is unbalanced, you’ll feel a vibration in your seat. You may not notice these vibrations until they get fairly serious — or until someone else drives your sedan — because they usually develop slowly. If a vibration starts abruptly, it usually means you’ve lost a balancing weight. The average tire rotates at about 850 revolutions per minute at 60 mph. When a tire is out of balance, it actually hops down the highway, rather than rolling. So at 60 mph it is slamming into the pavement 14 times a second. That’s what creates the dangerous vibration. When Costa Mesa auto owners’ tires are out of balance, they wear out more quickly. The lack of balance also causes extra wear on shocks, struts, steering components and essential suspension parts. Getting a balance job at Newport Autotech Center in Costa Mesa can prevent costly repair bills and even an accident. It will improve the safety of your sedan as well as its handling performance, and it will improve your gas mileage. When you change your rims or get a flat repaired at Newport Autotech Center, you’ll need to get your tires balanced as well. When you rotate your tires, you may want to have them balanced as well. Some Costa Mesa vehicle owners, however, only balance their wheels every other rotation. You can check your owner’s manual to see what the recommends for your sedan. Balancing your tires is part of essential preventive maintenance. It keeps your vehicle in good repair and prevents damage to many of its components, including some expensive ones. So practice good car care and make it a point to keep your tires balanced. It’s quality auto advice from Newport Autotech Center. Massages chairs may vibrate away our worries, but unbalanced tires will just rattle Costa Mesa drivers’ nerves. 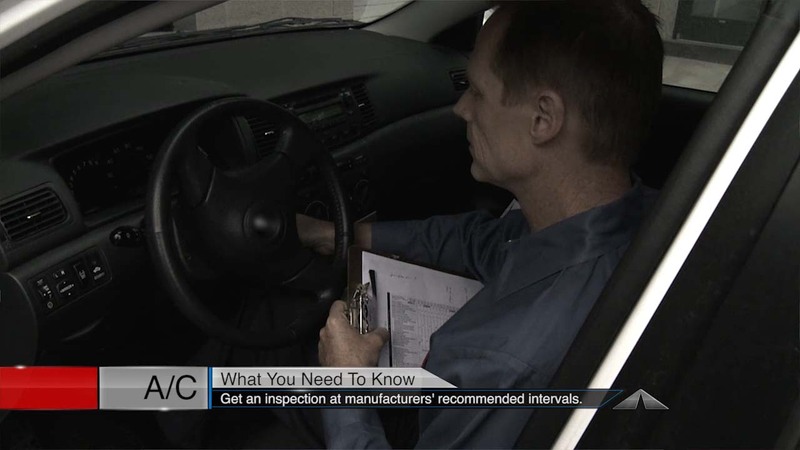 Most automakers recommend an interval for an air conditioning system inspection. The review uncovers leaks, worn hoses and assesses the condition of the other components. Newport Autotech Center in Costa Mesa is fully equiped to restore your flow of cool air. Power steering is standard on nearly every car and truck in Costa Mesa, California these days. Now there are some exotic, new types of power steering systems, but for the most part, the general setup is a pump that’s driven by a belt powered by the engine. Contact the automotive professionals at Newport Autotech Center in Costa Mesa for questions about your power steering. The pump generates power that assists motorists as they steer their sedan around Costa Mesa, California. Power steering systems use hoses to move pressurized fluid back and forth. These hoses can develop leaks so it’s a good idea to have your Costa Mesa service specialist inspect them at every oil change. A check of the power steering fluid level is on the list for every full service oil change at Newport Autotech Center because low fluid can damage the power steering pump. And the fluid needs to be compatible with the hoses and seals, so it’s essential to use the correct type –just ask your service professional at Newport Autotech Center. In addition to providing boost, the fluid cleans, cools and lubricates the power steering system. Over time, the lubricants and detergents diminish so Costa Mesa drivers need to replace their old fluid with clean, fresh fluid periodically. Excess moisture can collect in the power steering fluid as well. That can lead to rust and corrosion as well as reduce the effectiveness of the fluid. Many vehicle manufacturers outline power steering service intervals in the owner’s manual. Unfortunately, this essential service is sometimes left off the maintenance schedule. For Costa Mesa car owners who are not sure, every two years is a good rule of thumb. At Newport Autotech Center, we use a detergent to clean the system, flush out the old fluid and replace it with new fluid. Holding the steering wheel to the far right or left for more than a few seconds at a time can wear your pump out real fast. AutoNetTV wants you to be sure to service your power steering system regularly at your service center or Newport Autotech Center in Costa Mesa to keep you headed in the right direction. Consulting your Newport Autotech Center tire professional can ensure you get the right fit. First he’ll ask you a series of questions about your Costa Mesa driving needs and what you want in your new wheels. Now, not every wheel can go on every car. Care must be taken so that tires and wheels are not too large or that the wheel is centered too far towards the outside or the inside so the tires rub. Either way, there are hundreds of wheel and tire choices to choose from in California. You can pick the style of wheel you want and then talk with your efficient Newport Autotech Center tire professional about how big the wheel should be – and how to select the right tire for your sedan. Your Newport Autotech Center service advisor will help you find the best tire to meet your style, performance, ride and handling needs in Costa Mesa. There are several essential factors that go into how often Costa Mesa drivers should replace their wiper blades. 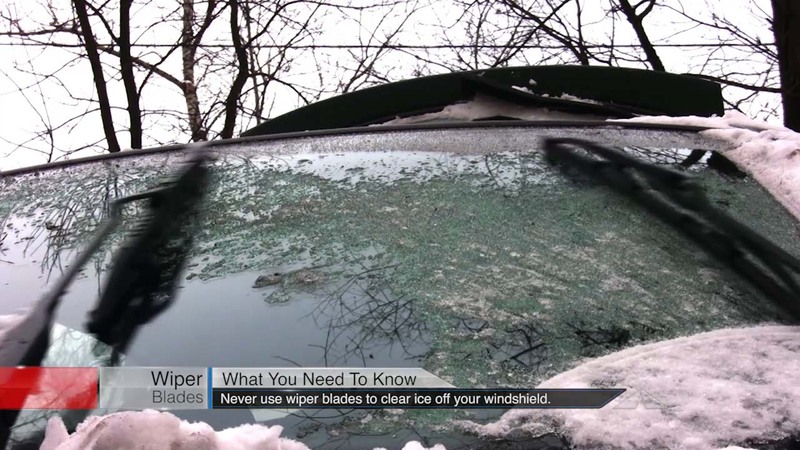 Of course, the more you use your wipers, the faster the blades will wear out – especially if you use them on an icy windshield. Whether it’s a lot of bugs and road grime from California freeway driving or lots of wet weather – your blades get a work out and start to wear. But your wiper blades break down even when they aren’t used frequently. They are damaged by sunlight and temperature changes as well. The rubber in the blades can dry out and crack and eventually fall apart. Check your wipers: If they’re not doing their essential job, have them replaced. Talk to your Newport Autotech Center technician about how you drive – we can advise you on the prime blades for your needs. Many Costa Mesa auto owners have been hearing about technological advances in power steering, specifically, electric power steering. Some very high-end cars have been featuring electric power steering for a few years now. An electric motor directly provides the power assist to make steering easier. Undoubtedly we’ll see much more of this in Costa Mesa as full electric cars and electric hybrids become more common. The vast majority of cars and trucks serviced at Newport Autotech Center in Costa Mesa use a hydraulic power boost system. With hydraulics, fluid is pressurized by a pump which actuates a hydraulic cylinder to reduce steering effort. Some of these pumps are powered by an electric motor. Most pumps are powered by the serpentine belt driven by the engine. Costa Mesa car owners should be aware that automobile manufacturers recommend that the fluid be replaced on schedule. At Newport Autotech Center, the old fluid is drained and the system cleaned thoroughly. Fresh fluid is then installed. Unfortunately, many Costa Mesa auto owners don’t realize how essential it is to service their power steering, and some may not even know that it’s necessary in the first place. A neglected power steering system can develop leaks that will shorten the life of the pump. Costa Mesa drivers should be aware of warnings that indicate possible power steering problems: the need to constantly add power steering fluid, a loud whining from the pump, erratic power assist or high steering effort. If you’re experiencing any of these problems, have your power steering checked out at Newport Autotech Center in Costa Mesa. In addition to the pump and hydraulic system, there are important mechanical parts in the steering system. The rods, arms, joints and knuckles that actually turn the wheels can become worn or damaged. A standard alignment service at Newport Autotech Center includes an inspection of steering components. If you notice any play in the steering wheel, that the steering wheel is off center, or a noise coming from your front wheels, especially when turning, have your efficient Newport Autotech Center service advisor do an inspection so the problem can be corrected. Waiting too long could cause uneven tire wear and may even lead to steering failure. Call Newport Autotech Center today at (949) 264-3030.